You won't find this mini statue just anywhere! 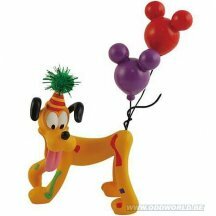 This Disney Pluto Birthday Statue is sure to put the icing on the cake. At 3 1/2-inches (9 cm) tall, it belongs in your Disney collection!